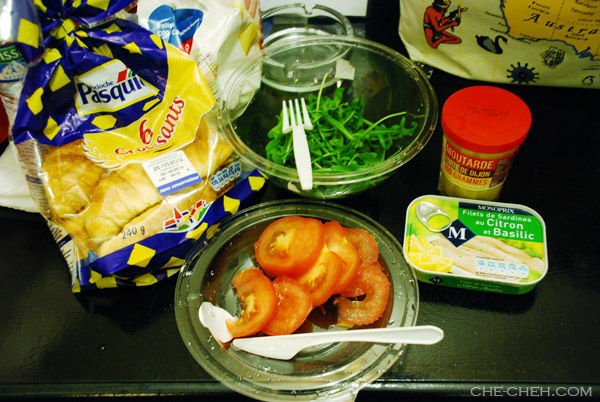 Remember we went to Monoprix supermarket the night before to buy ingredients for our breakfast? This is our ‘homemade’ croissant breakfast. Clockwise from left: the very yummy and soft croissants, rocket leaves, mustard, sardines and tomato. Plastic cutlery recycled from MAS flight. Gotta said it’s the best breakfast in Paris! Wohoo! After breakfast, we took the Metro to Opera again. Passing by Palais Garnier again. Guess where we went at 10am right on the dot? Galeries Lafayette again. Remember the queue to LV was very long yesterday? We purposely went there this early but guess what? There’s already a queue at LV. Took us about 30 minutes for our turn. I’m not interested in buying LV but my sis is. She purchased a LV wallet at RM3k plus. SIAO AH??? I think that’s too much. Hahaha. The original price of the wallet is RM4k plus but after VAT tax refund the purse is less few hundred dollars. Yes it’s because of this tax refund that many come to Paris to shop for branded goods. I saw lots of Chinese most probably from China shop at Lafayette. I managed to bought a nice looking scarf at Lafayette too at €22.49. Not cheap but the quality is good. Then we head to the next door shopping mall called Printemps. 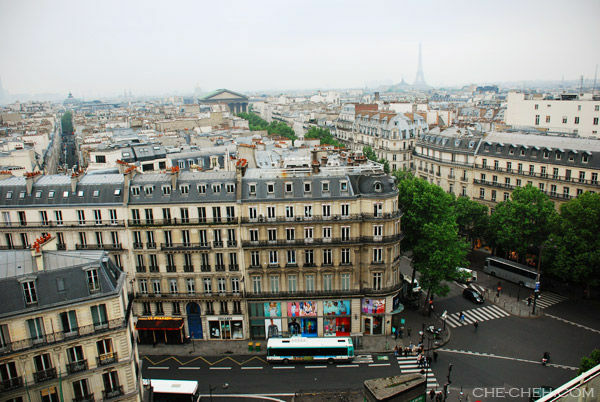 We’re not here for shopping but for the view of Paris from the top floor. 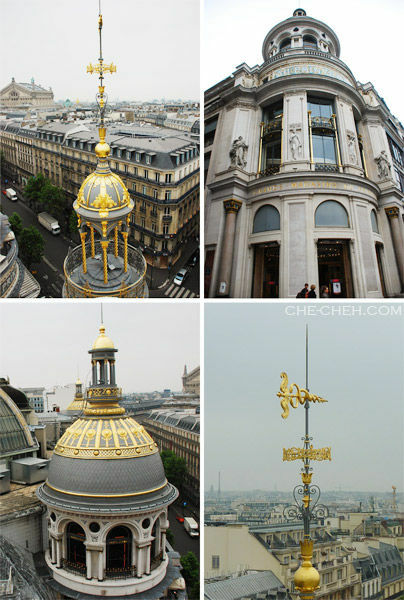 Actually you can also view the whole of Paris from Galeries Lafayette but because we haven’t been to Printemps (another department store that carry lots of luxury brands), we decided to go there instead. 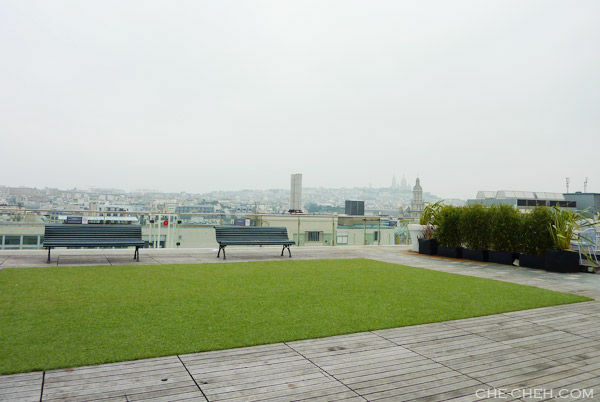 At 9th floor of Printemps (panoramic terrace). There’s a restaurant on this floor too. That’s La Madeleine in the middle of the picture and Eiffel Tower on the right. Views from Printemps’ panoramic terrace. Then we took the Metro back to Hotel de Ville. 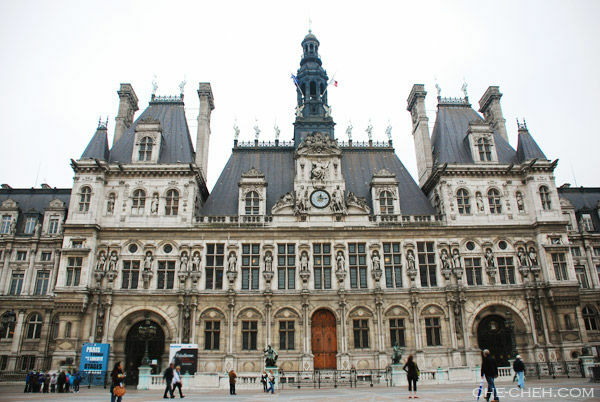 Hôtel de Ville @ Paris, France. It’s French for city hall. 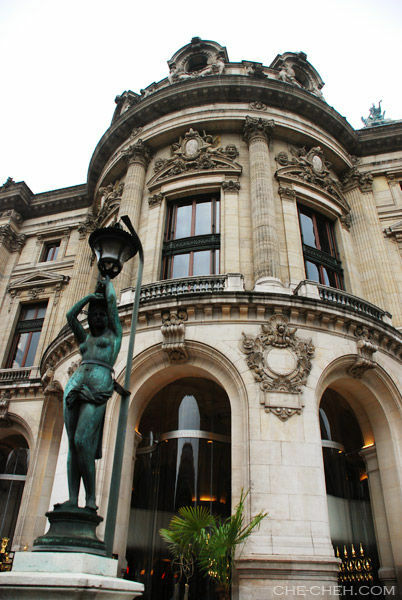 This building houses the city of Paris’s administration. On the left of this building is a post office where we stopped by to post a few postcards and letters home. Pont d’Arcole (Arcole Bridge). We’re crossing the bridge to an island called Île de la Cité where the world famous Notre Dame Cathedral is situated (straight ahead). The famous river Seine! and in the middle of this picture is a tiny island called Île Saint-Louis. 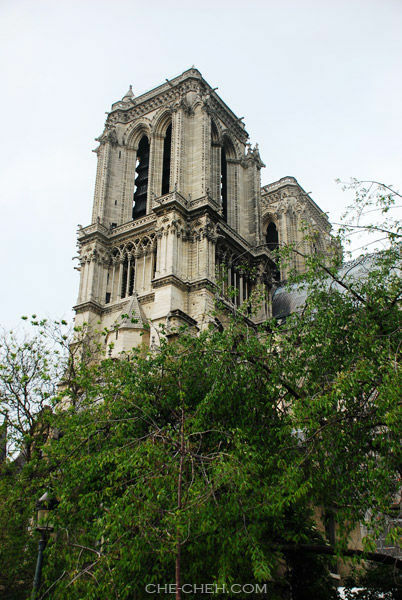 Notre Dame de Paris (French for Our Lady of Paris), also known as Notre Dame Cathedral. Love it! Entrance is free. Don’t mind the long queue coz it’s super duper fast. 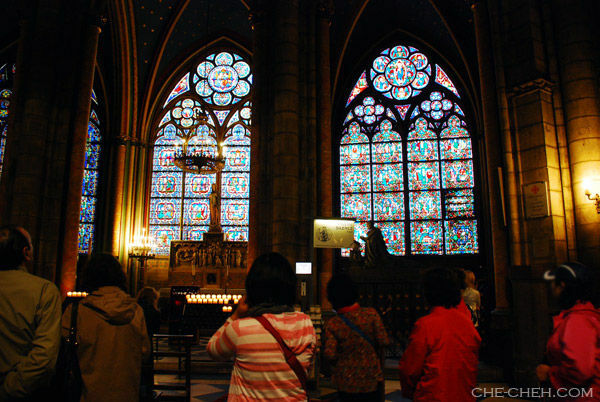 There are lots of stained glass in this cathedral, one of my favorite thing! 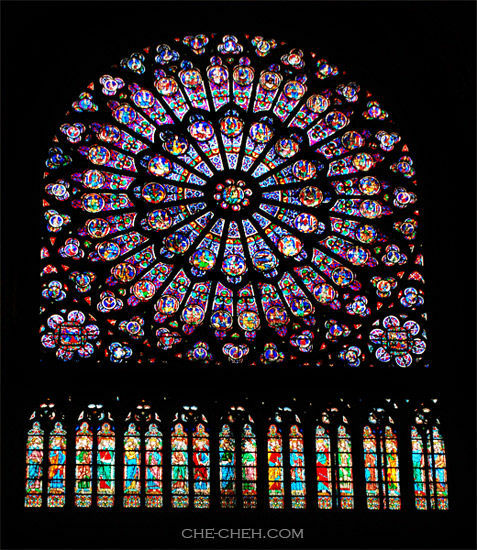 Beautiful and gigantic stained glass @ Notre Dame Cathedral. The view to the front altar is amazing but too bad I couldn’t capture it perfectly. Yeah we sat at those benches although there’s a note saying for prayers only. WOW right? 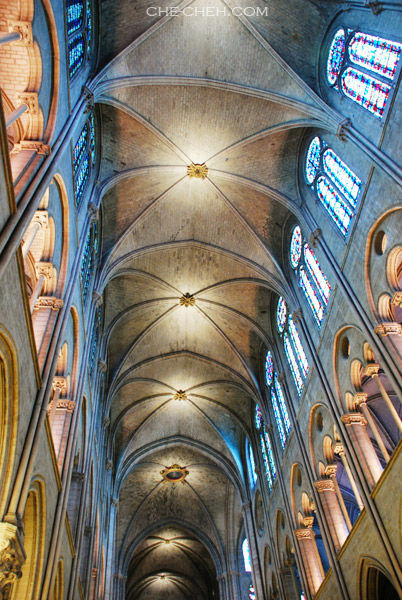 Love the architecture of Notre Dame Cathedral. 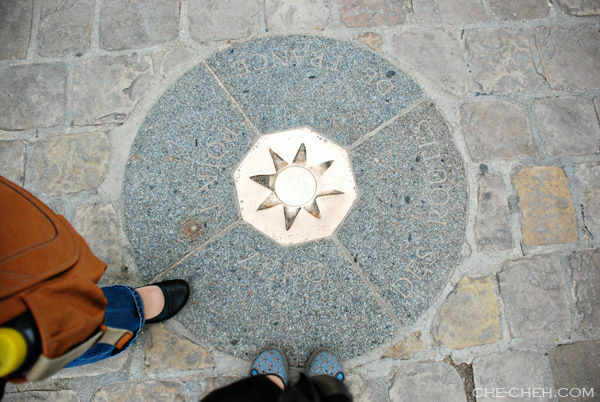 Just outside of Notre Dame Cathedral is Point Zero (Des Routes De France). It’s the point from which distances in Paris are measured. 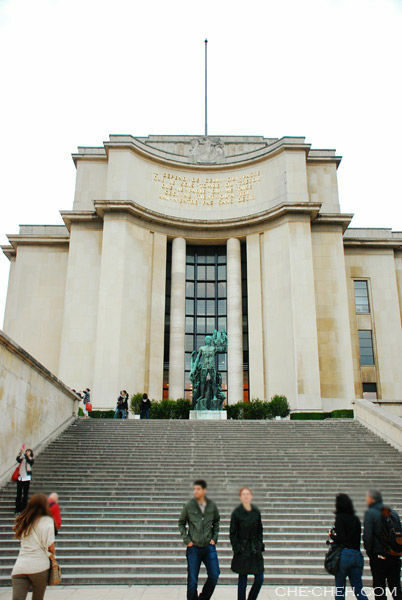 It’s considered the official centre of the city of Paris. Tsk, FYI Malaysia’s Point Zero is at Johor Bahru General Post Office. We then head for lunch at Maoz, a falafel restaurant. That’s the best lunch and meal we had in Paris! Not Parisian food but Middle Eastern food. LOL We also bought a Nutella crepe on the way @ €3. Delicious! Then we went on a shopping spree at the souvenir shops near Notre Dame Cathedral. 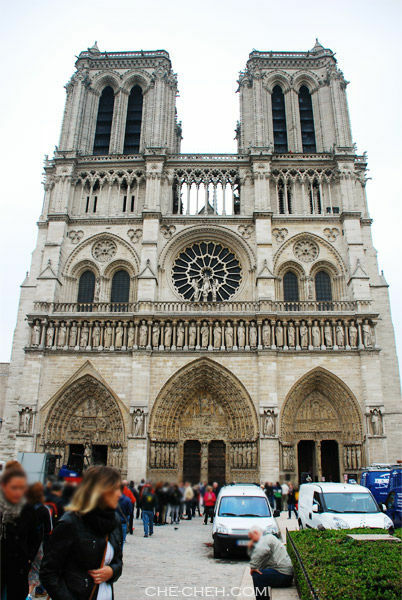 The souvenir shops near Notre Dame Cathedral is too stingy to give us discount. But I’ve found that souvenir shops near Saint-Michel Metro (near Maoz) gave very good discount to us. So you know where to shop for souvenirs next time ya. At 2.30pm very quickly we walked to La Cuisine Paris. It’s a place where they teach you to cook Parisian food. We attended a macaron class there. After the class, we walked to Île Saint-Louis (an island mentioned earlier) for ice-cream at Berthillon. 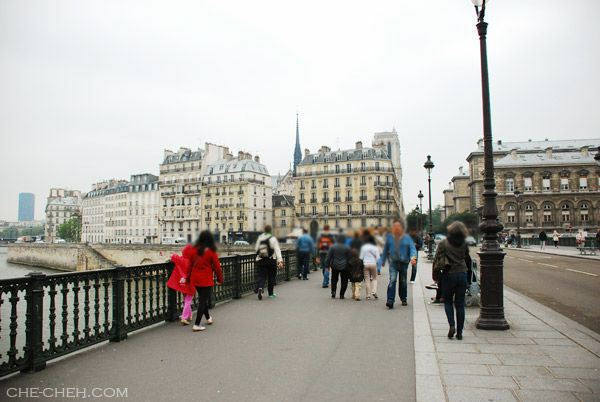 Then we crosses a bridge which brought us back to Notre Dame Cathedral again at Île de la Cité (island). This time it’s the back of the cathedral. 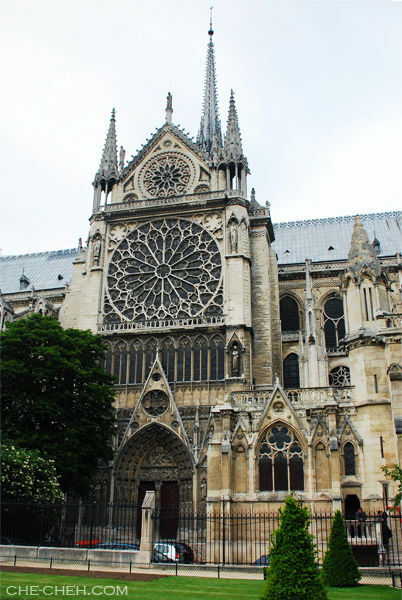 This is the back view of Notre Dame Cathedral. Equally stunning right? There’s a small garden there. 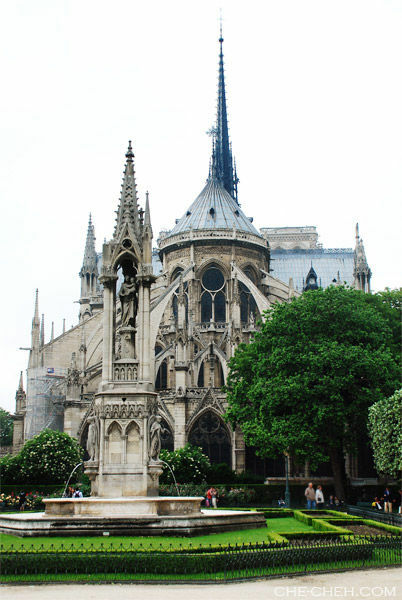 Side view of Notre Dame Cathedral. 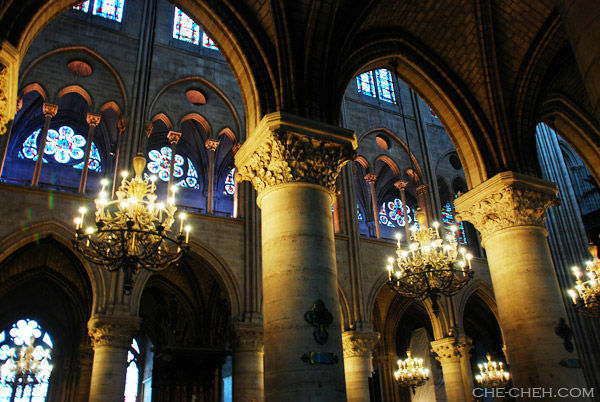 Notre Dame Cathedral @ Paris, France. Then we went for some souvenir shopping again. LOL Dinner at 7pm is at Maoz (yes again) since the food is very yummy. Kekekeke After dinner, we walked back to hotel to leave our stuff and rest a bit before heading out again. Oh we stopped by at Franprix (grocery store located beside Monoprix) before that to shop for our next day breakfast. This time we took the Metro to Trocadéro. Palais de Chaillot @ Trocadéro, Paris, France. 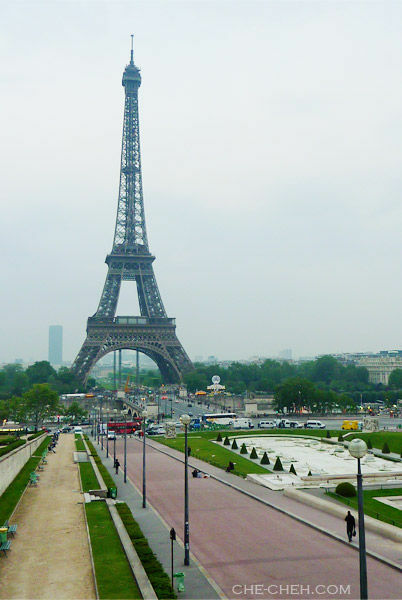 This place is very near to Trocadéro Metro. Oh yeah can you see the Eiffel Tower? Yee haa! I’m at awe man. The time is 9.13pm. 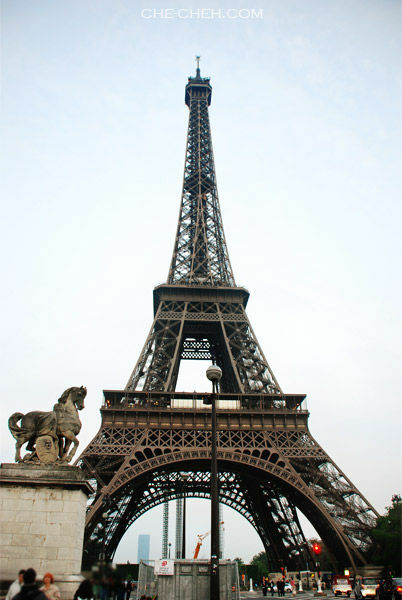 View of the Eiffel Tower from Trocadéro Place. 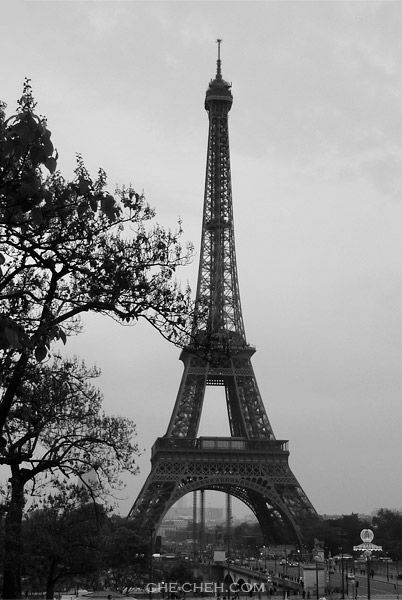 B&W picture of the Eiffel Tower captured by my sis. In Seventies photoshop actions. Nice eh? Eiffel Tower taken from Pont d’Iéna (Jena Bridge). 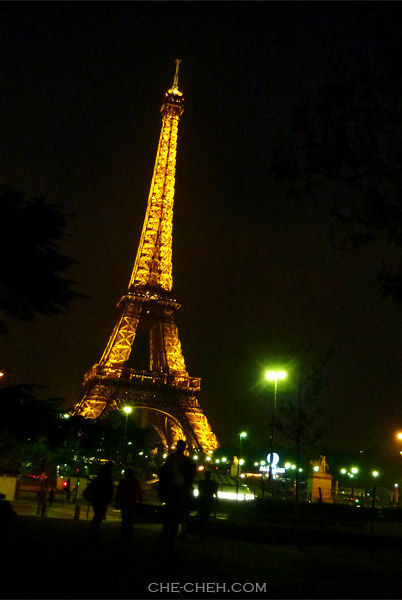 The lights on the Eiffel Tower was turned on at 9.50pm in the month of May. 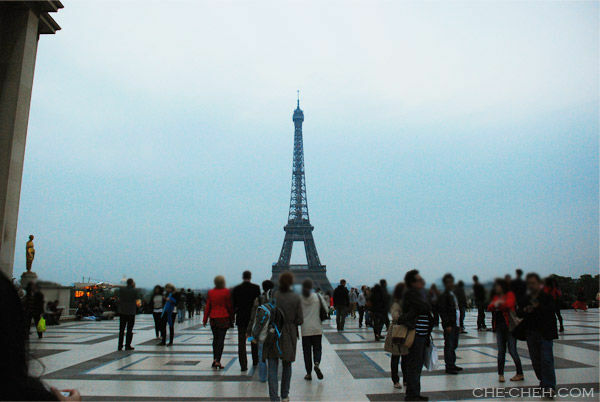 Taken from Champ de Mars. I kept looking up… AMAZING!!! For 10 minutes every turn of the hour, glimmering lights will be turned on. Can you see it? Slowly with our painful leg and my heavy heart we walked back to Trocadéro Place. 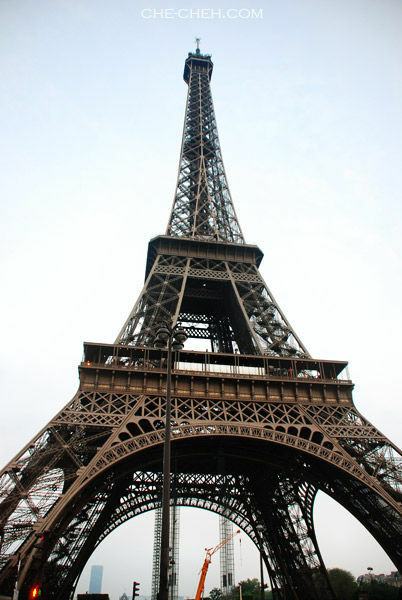 Every now and then we turned to look at Eiffel Tower and rest our legs at the benches at Trocadéro Place. 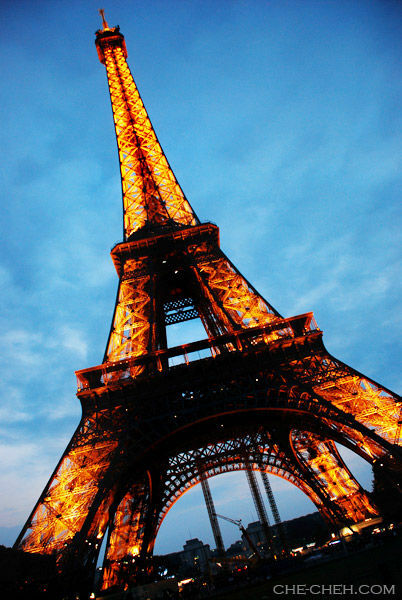 Eiffel Tower is too stunning. Such a masterpiece! It has been a long day and we reached our hotel at 11.30pm. Stay tuned for day 10. Sunset in Paris is at 9.30pm. Hehehe Summer time ma. 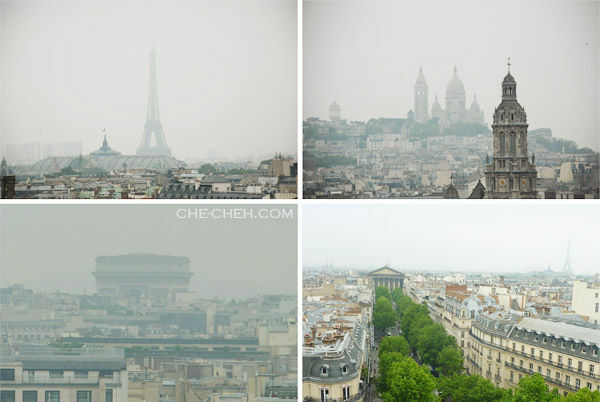 The Notre Dame and Eiffel Tower are simply magnificent! So bad that you two did not ascend the tower. 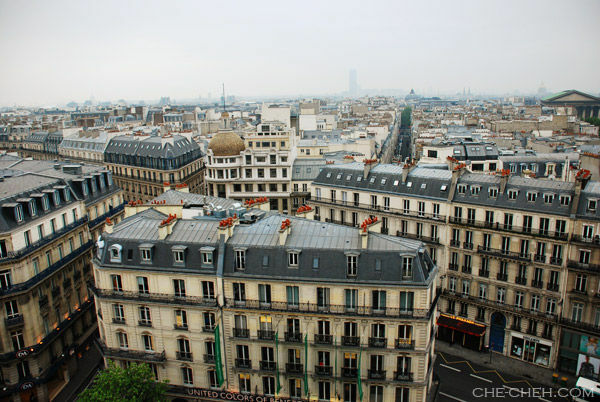 I think above there one can get the best panoramic view of the city of Paris. My dad went up the Eiffel Tower before. He said ok nia normal wo. However for me the idea of being up the Eiffel Tower itself is still wonderful. I will go up one day. 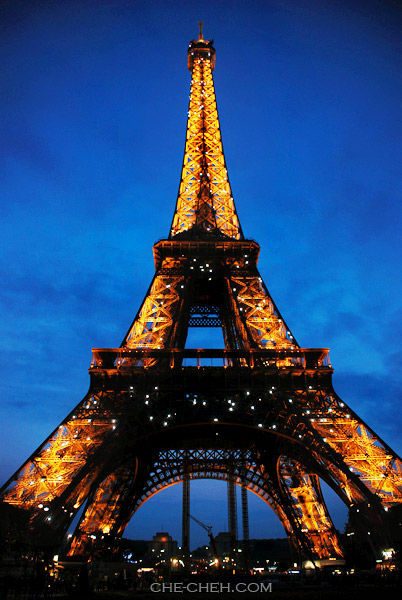 the Eiffel Tower is stunning!!! even more mesmerizing at night!!! What? Your home made breakfast is the best breakfast in Paris?!!! Yes. Hahaha You don’t need expensive breakfast to feel/make it as the best. It can be as simple as ‘homemade’ ones. Wow! Nice views from Printemps!! Love it! 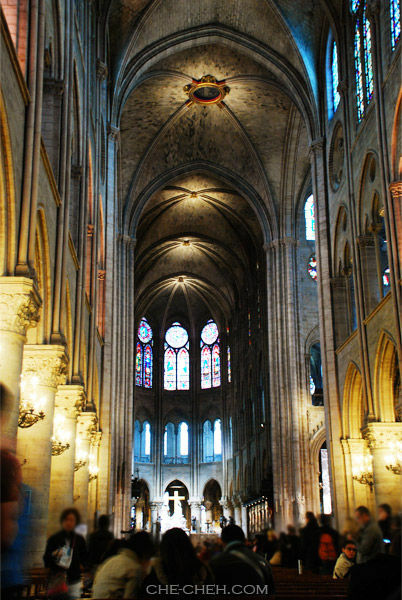 Love the Notre Dame Cathedral! So beautiful! Inside and outside! Huh? Malaysia’s point zero at JB General Post Office???? Yeah read it at wikipedia. Unbelievable ya. 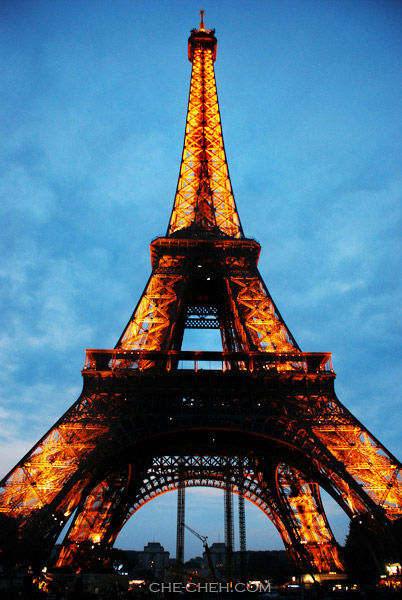 The Eiffel Tower looks awesome! Pity you did not get up there! !